Thomas “Tom” Geroulo brings a creative and aggressive approach to his practice complemented by his unique skill set to consistently deliver favorable results for his clients. As a partner at Bardsley Benedict + Cholden, he offers experience across a wide range of practice areas including general liability litigation, high-end damages defenses in catastrophic cases, intellectual property law, business law. and personal services such as wills and estates. He is also a registered patent attorney, advising clients on patents, copyrights, and trademarks. Over the last several years, Tom has dedicated significant time and resources to successfully driving changes in the legal system to correct unfair practices in the pursuit of catastrophic litigation awards. Traditionally, insurance has been prohibited from courtroom discussion and thus from the calculation of damage amounts, enabling plaintiffs to include hypothetical costs absorbed through the insurance coverage system. Tom has broken barriers nationwide, asserting his theory’s validity by speaking regularly, counseling attorneys, and even earning the designation of a Certified Medicare Secondary Payer Professional. His fervent efforts have resulted in policy changes in several states and forced settlements in 60-70 cases with large verdicts at stake. Tom’s commitment to the fair defense of the law extends to the areas of premises liability, auto litigation, dram shop, and even civil rights. For every client, he incorporates strategic thinking and relevant resources – from creative alternative dispute resolution to legal technology – to bring fresh perspective to traditional defense models and approaches. 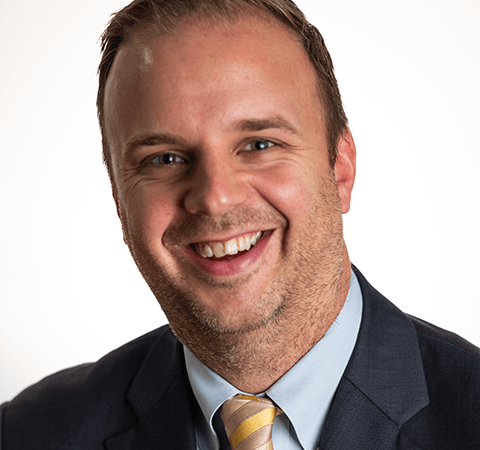 Recognized as a SuperLawyers® Rising Star for each of the last seven years, Tom is also dedicated to his local community, providing legal assistance in personal services such as wills, estates, and powers of attorney in order to enable families to properly plan for the future. However, he is perhaps most driven in his practice by the prospect of having his three sons in college at the same time – and the knowledge that their future relies on his ability to deliver positive results for his clients, for many years to come. West Chester University, 2003, B.S.